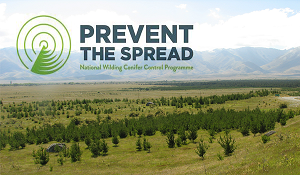 The Mackenzie Wilding Trust is a registered Charity, formed in 2016 as a vehicle to promote knowledge about the impact of wilding trees in the Mackenzie Basin and to work with stakeholders to implement a strategic approach to deal with the challenges presented by wilding trees. The Trust has 6 trustees, all are landowners in the Basin. The Trust meets regularly, along with representatives of the affected Government departments (DOC, LINZ, MPI and the NZ Defence Force) and local government (ECAN, MDC). 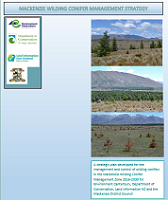 These bodies all participate in the meetings and collaborate in prioritising, arranging and obtaining funding for dealing with the wildings on land within the Mackenzie Basin. Working with their neighbours to achieve widespread control of wilding trees. It is clear that much of the funding being made available from MPI and other Government sources is dependent on this collaborative approach. This means we must demonstrate the commitment to the task by quantifying the costs incurred and the efforts undertaken by the landowner. We strongly encourage landowners to record their wilding eradication and management activities and costs so that their continuing contribution can be quantified. A paper outlining the types of costs and activities you can think about will be circulated. This is a guide only and you should add other items if they apply to you.